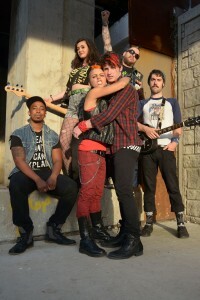 The Hypocrites are thrilled to launch their 2015-16 season with the Chicago premiere of the smash Broadway musical AMERICAN IDIOT, featuring music by Grammy Award-winning punk rock band Green Day, book by Green Day frontman/guitarist Billie Joe Armstrong and Michael Mayer and lyrics by Armstrong, direction by Steven Wilson, musical direction by Andra Velis Simon and choreography by Katie Spelman. 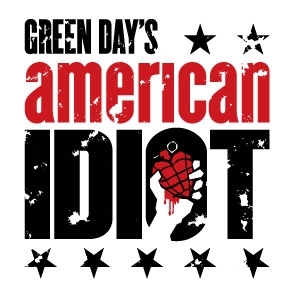 AMERICAN IDIOT will play August 28 – October 25, 2015 at The Den Theatre’s Heath Main Stage, 1329 N. Milwaukee Ave. in Chicago’s Wicker Park neighborhood. Tickets are currently available at at www.the-hypocrites.com. The cast of AMERICAN IDIOT includes Luke Linsteadt as Johnny, Jay Cullen as Will, Steven Perkins as Tunny, Alex Madda as Heather, Becca Brown as Extraordinary Girl, Krystal Worrell as Whatsername, Brian Keys as Favorite Son and Malic White as St. Jimmy with Isa Arciniegas, Marcos Barnes, Elisa Carlson, Whitney Dottery, Dakota Hughes, Michael Kurowski, Aubrey McGrath, David Daniel Smith, Janelle Villas and Alexander Zukoff. The production team for AMERICAN IDIOT includes: Joe Schermoly (scenic designer), Mieka van der Ploeg (costume designer), Heather Gilbert (lighting designer), Rick Sims (sound designer), Pat Fries (production manager), Gabby Welsh (stage manager), Alyson Kulin (assistant stage manager), John Kelly (associate lighting designer), Rebecca Adelsheim (assistant director) and Spencer Meeks (associate musical director). The company has grown significantly in the past few years, receiving acclaim for productions at the Steppenwolf Garage, Goodman Theatre, Museum of Contemporary Art, DCASE Storefront and Chopin Theater. The company’s smash-hit production of Our Town, directed by David Cromer, transferred in 2009 to Off-Broadway, Los Angeles and Boston. The Pirates of Penzance has appeared at Actors Theater of Louisville and American Repertory Theater (A.R.T.). A.R.T. has also brought Romeo Juliet, 12 Nights and The Mikado (forthcoming). The American Theatre Wing, best known as the creator of the Tony Awards, presented The Hypocrites with one of the 2013 National Theatre Company awards in 2013. The critically acclaimed fall 2013 production of All Our Tragic is being brought back by popular demand in June 2015. For more information, please visit www.the-hypocrites.com.